Such exciting developments in the garden! 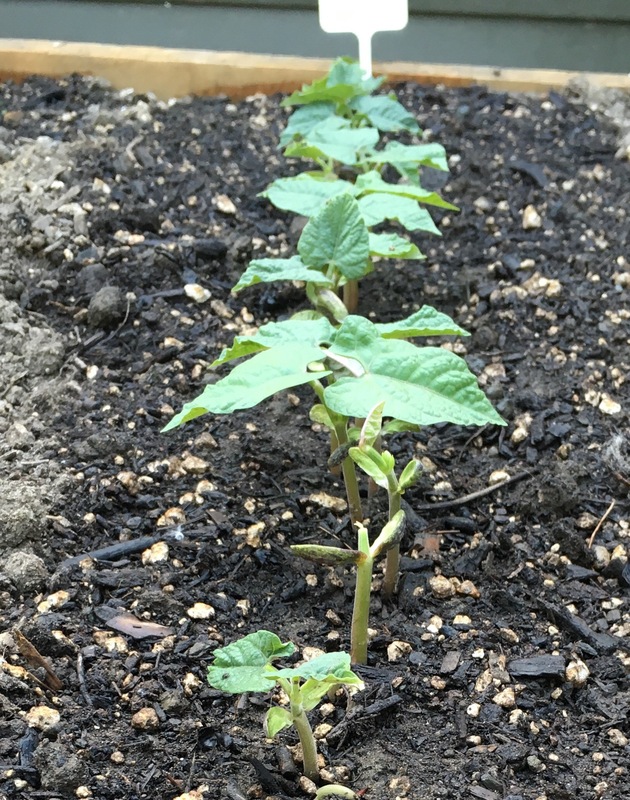 All of the beans are sprouting – we’ll have to cull them soon – and the carrots have popped up. Finally got a couple of sprouts from the Mitha in the front bed – whew! We were a little concerned over the age of the seeds. If we can keep everything watered, we should be swimming in vegetables in 4-6 weeks! The tomato plants on the deck are flowering and stand @ 24″ tall and the pepper plants are flowering too.. It’s so fun to watch, Paul actually set up a camera to capture images 8 times a day – which we should be able to watch like a time-lapse video. Fingers crossed the detail is clear enough to show growth over time. The Moreland Farmer’s Market is still a bit light on actual vegetables, however we did by a couple pints on Hood strawberries and a pound of cherries – we’re not free of the grocery store yet! 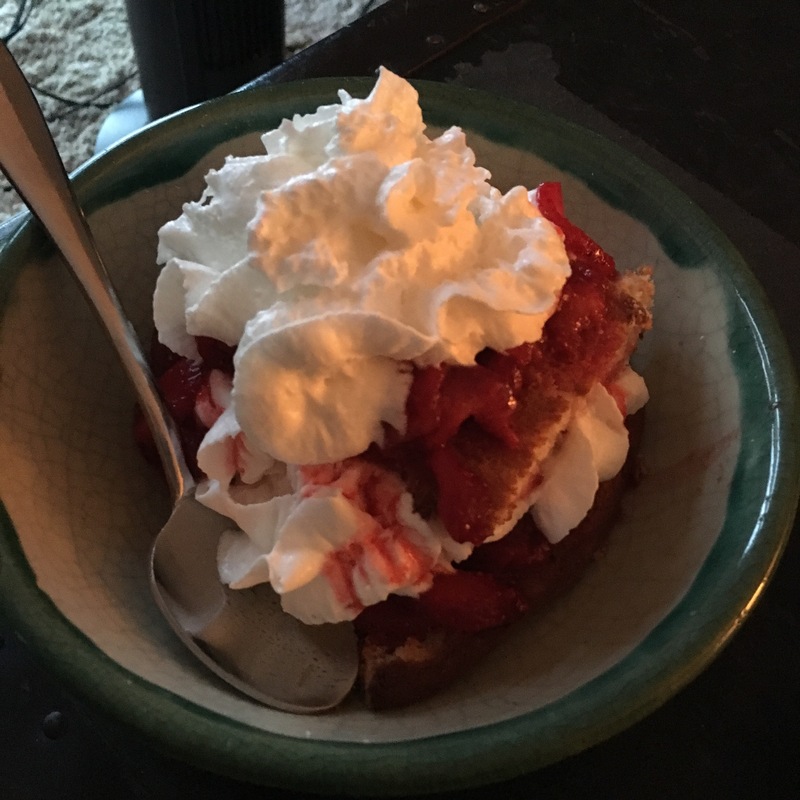 The strawberries contributed to my passable Bisquick shortcake to make a tasty dinner.. That’s right. We’re adults. We can have strawberry shortcake for dinner if we want to..